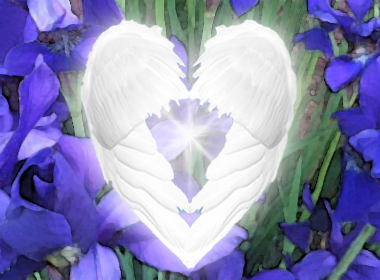 I had my “Reconnection” done in August of 2012 (by Pj Fay of Divine Designs)…..this was an amazing spiritual event that reconnected me with so many things…..my Higher Self, my Council of Angels, my galactic blueprint, my life’s purpose and mission, and more. This was just the beginning. I began to search earnestly for more spiritual energy techniques to continue to expand my awareness and bring me back to my own Source, and bringing me to the awareness that I am Source expressing Source. A special thank you to Pj Fay of Divine Designs for my Reconnection and Toni at Sacred Spaces for wonderful spiritual energy sessions. I began channeling these messages only a few months ago. I have only shared them with one person so far. But the energies expressing through me have asked me to create and publish this website as there is much information that they wish to share. Also of note, I transcribe these messages late at night on my iPhone (that may change), and as I hear the messages telepathically, I transcribe them; they are written in “stream of consciousness” form and I am going to keep them as is without editing for now to get them published; there are not many punctuations and they often read as a run-on sentence, but this is how they came to me. I’m not even sure when these started, as I didnt write down the dates in the beginning, but I think they were sometime in September 2012 (two months ago). So without further ado, I will begin to publish these now. Thank you in advance for reading and may they assist you in your spiritual journey and during this important time of transformation! Can you tell me who it is that I am speaking with? It is the voice of all in your Council of Angels we speak now through another angel the time has come for us to help reveal to you part of your mission for coming to earth. We are of the angelic realm and exist in the higher level octaves beyond space and time we are not affiliated with any planetary system, universe or galaxy but exist in the pure white light realms of the 10th-12th dimensions and beyond.